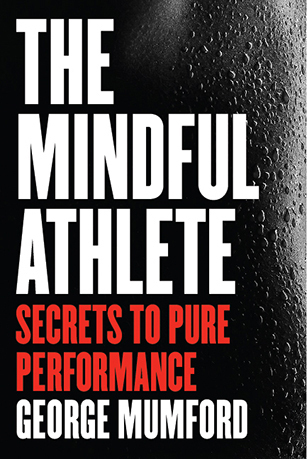 I came across this book The Mindful Athlete: Secrets to Pure Performance by George Mumford and in this week’s podcast, I will share with you the inspirational passages I highlighted in this book. Now, if you are a basketball fan, you would know who Phil Jackson is – amazing coach of former NBA champions Chicago Bulls and LA Lakers. He brought in George Mumford to transform their game and start winning. George Mumford had a very interesting beginning – he was playing basketball for the University of Massachusetts when injuries forced him to walk away from the game he was truly passionate about. Things at home weren’t helping as his dad was an alcoholic so George started doing drugs starting from marijuana to pain medications like heroin. Through meditation, he was able to kick the addiction away. Now, George is a well-respected public speaker and sports coach and in this book, he shares his story and strategies. Countless of basketball players, even the great Michael Jordan himself, credited Mumford for changing the way they played the game. His proven techniques transform the performance of anyone with a goal, be they an Olympian, weekend warrior, executive, hacker, or artist. Life is available only in the present moment. Thich Nhat Hanh – what matters is what we are doing now. We are all chipping away to get to our masterpiece even if we grew up on the wrong side of the tracks. – you can become whoever you want. We all have divine spark within in us. – there is something in us that we should express. Slowing down and thinking, “What do I really want to do in my life?” Our passions may change. Buddha – my teaching is not a dogma. It is a method to teach reality, it’s just a finger pointing at the moon. Each of us is a completely unique creature. No one told him when he was young that he can alter his mind – he turned to drugs. There might not be the right time to start. – it’s the journey, the first attempt might not work, the second might not. But as many of us know, taking little steps into the right direction eventually you’ll dig results. – start taking baby steps even if you fall down. God grant me the serenity to accept the things I cannot change, the courage to take the things I can. If you do follow your bliss, you put yourself on a kind of track that has always been there waiting for you. And the life you ought to be living, is the one you’re living. Read all the books available aligned to your passion and interests. The minute your mind is elsewhere, the present moment is gone. The brain is a muscle, practice everyday. There are numerous motivational passages in this book that I haven’t covered in this podcast but I’ll leave it to you to discover. I highly recommend this book, it’s not just about sports – the things discussed and written here are applicable to both your personal and professional lives, may it be facing a career crossroads or just simply going through some personal changes.